Marty Willenborg is one of the owners of Premier Advisors LLC and a financial advisor with more than three decades of experience in the financial services industry. With the Certified Long-Term Care and Life Underwriter Training Council Fellow designations, and as a Certified Life Underwriter® and Retirement Income Certified Professional, Marty has professional knowledge and education in retirement planning and risk management. He focuses on helping clients grow and preserve their net worth through comprehensive financial planning strategies. Marty first entered the industry in 1981, working with Prudential Insurance Company as a “debit agent”, assisting clients in all aspects of financial planning. Within his first year, he achieved “Citation” status and was named one of the top 500 agents nationwide out of the company’s 25,000 agents. Over the next several years, he climbed the Prudential ladder, working as a Sales Manager and then District Manager. During this time, he hired, trained, and developed agents, helping them achieve their own “Citation” status. Marty reached #3 in the company in the Sales Manager position, out of 2800 Sales Mangers. After two decades with Prudential, he transitioned into the wholesale side of the business, working with New England Financial and MetLife Investors. 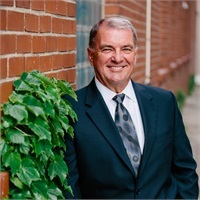 He also served as a Brokerage Manager for the State of Iowa, helping with estate planning with the top financial advisors in national companies such as Edward Jones and Smith Barney. With a desire to work more closely with clients and make an impact in their lives, he partnered with his longtime friend, Todd Manternach, at Premier Advisors LLC. Born and Raised in Dyersville, Iowa, Marty resides with his wife, Alana, in Swisher Iowa. Outside of the office, he enjoys spending time with his children and 6 grandchildren, playing golf, working out, and traveling.